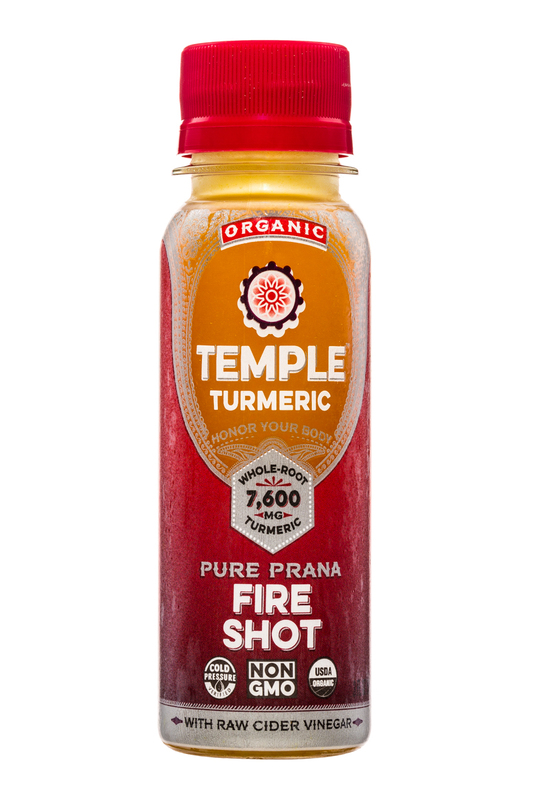 We’ve been fans of Temple Turmeric for a long time -- since before they were even Temple Turmeric -- and there’s one particular part of their product portfolio that we’ve always been fond of: their Pure Prana shot. This product offered their most intensely flavored formulation and really hits your palate hard with turmeric flavor. Fire Shot -- This is basically a miniature version of their Fire Tonic. It features raw apple cider vinegar, Oana turmeric, ginger, vanilla, cinnamon, ghost pepper, lemon, orange oil, raw honey, and sea salt. This product is tangy and mild at first, but it eventually gives way to a lingering spice before ending with a note of citrus and salt. 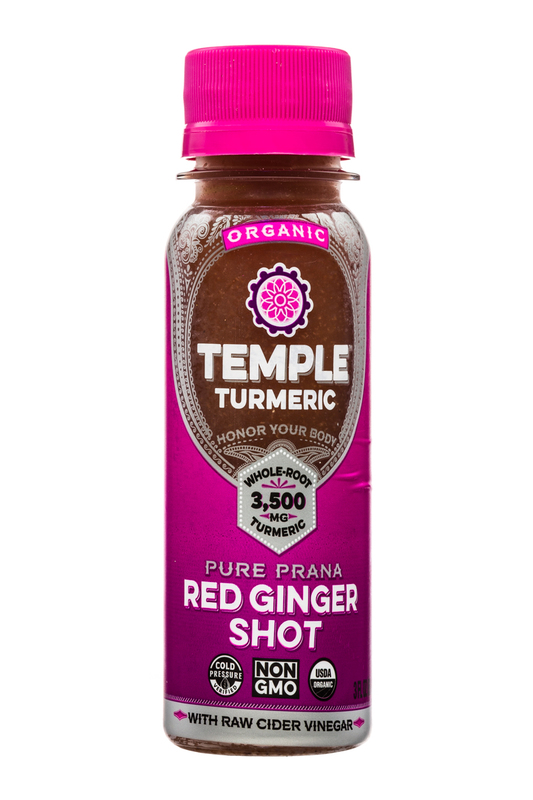 Red Ginger -- Blending elderberry, ginger, white turmeric, reishi mushrooms, ghost pepper, honey, lemon, lime, and sea salt, this product has a lingering heat that sneaks up on you. It’s not spicy at first, but it quickly builds as you consume the full 3 ounces. 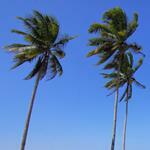 The other flavors only offer some mild reprieve and entice you into wanting to consume more. 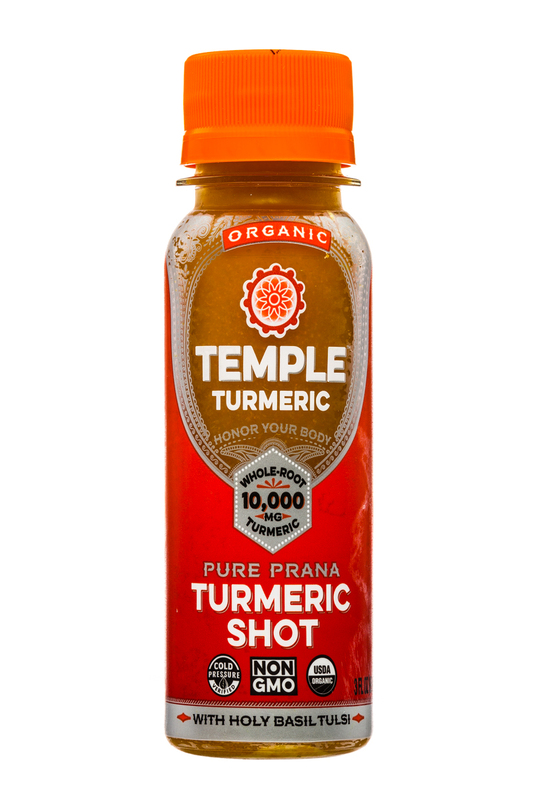 Turmeric Shot -- The classic Pure Prana shot with some slight refinement. It features Oana turmeric, black pepper, coconut oil, ginger, holy basil, ashwagandha, yerba mate, cardamom, spearmint, coconut nectar, lemon and sea salt. It’s sweet and spicy and has the purest turmeric flavor of the bunch. And it’s still our favorite. From a packaging and positioning standpoint, these products are the strongest of the Temple Turmeric lineup. The company, which is all about utilizing an intense ingredient (turmeric) and creating efficacious products, feels like the perfect player to be in the shot space. These products take that mission to its most direct and functional form and deliver flavor that is memorable, enjoyable, and addictive. 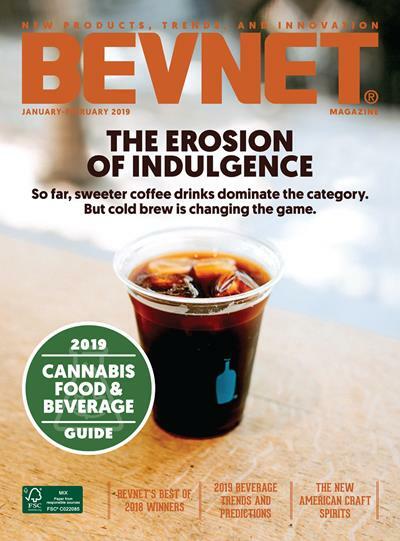 Given their size and perishable format, these may not be the easiest offerings in their market to bring to retail. 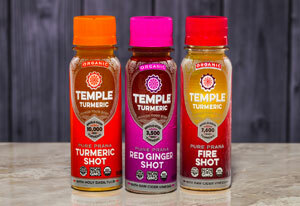 Fortunately, Temple Turmeric has a solid set of other products to complement these shots. 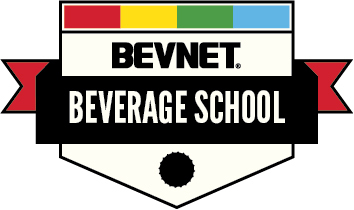 Plus, there’s a growing number of other companies that are trying to develop this refrigerated shot set. For Temple Turmeric, we think it’s really smart that they’ve created what amounts to almost a miniaturized version of the packaging used on their flagship line. 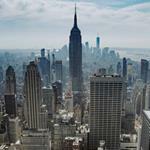 This allows the company to play in this nascent space while reinforcing their core mission and promoting their main product line. Overall, these are some really incredible tasting and formulated products. We honestly can’t pick one as our favorite -- they are all great.